Maker's Mark workers hand dip bottles into red wax. Bottles of bourbon make their way through the assembly line at Maker’s Mark, one of ten distilleries on the Kentucky bourbon trail. They’re cleaned, filled, capped and then dipped in the company’s signature red wax, a tradition that started with the wife of the distillery’s founder, Bill Samuels. Margie Samuels also created the design for the bottle and label that is used today. A lot has changed since then. Today there are 32 distilleries in Kentucky operating in 52 different locations and selling to customers around the world. Bourbon is booming, thanks in part to a strong export market. The Kentucky Distillers’ Association said bourbon and distilled spirits accounted for more than $450 million in Kentucky exports last year, a 23 percent increase over the previous year. And nearly half of that went to European Union countries. So when the EU warned it would respond to President Trump’s steel tariffs with retaliatory tariffs on bourbon, it sent a ripple through the whiskey world. In a quarterly earnings call for the Louisville-based liquor giant Brown-Forman, CEO Paul Varga summed up the concerns. President Trump’s tariffs on imported steel and aluminum are scheduled to take effect at the end of the week. 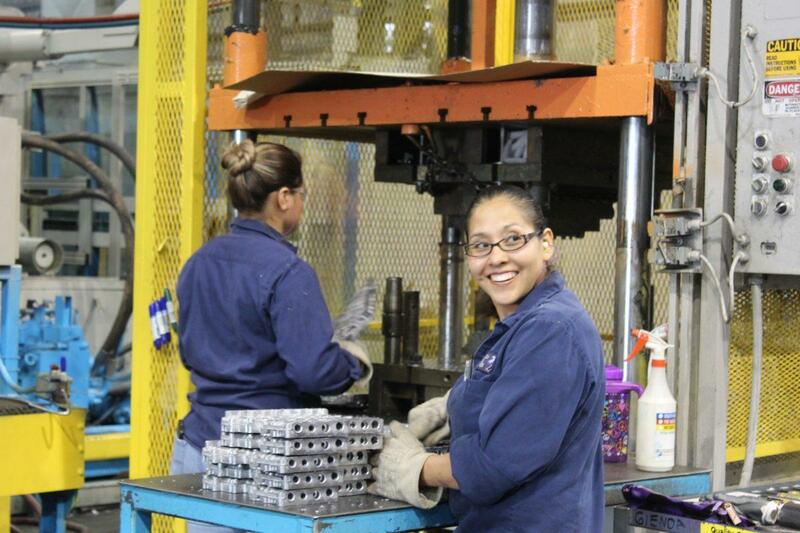 That’s encouraged some metals manufacturers in the Ohio Valley to ramp up hiring and production. But other regional businesses ranging from bourbon distillers to soybean farmers worry about retaliation from trade partners. 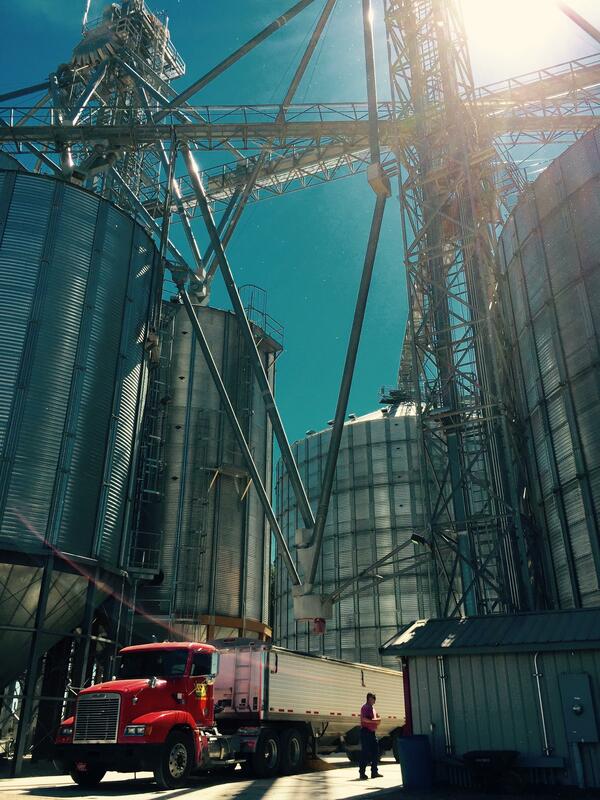 Silos of corn at Seven Springs Farm in Kentucky. 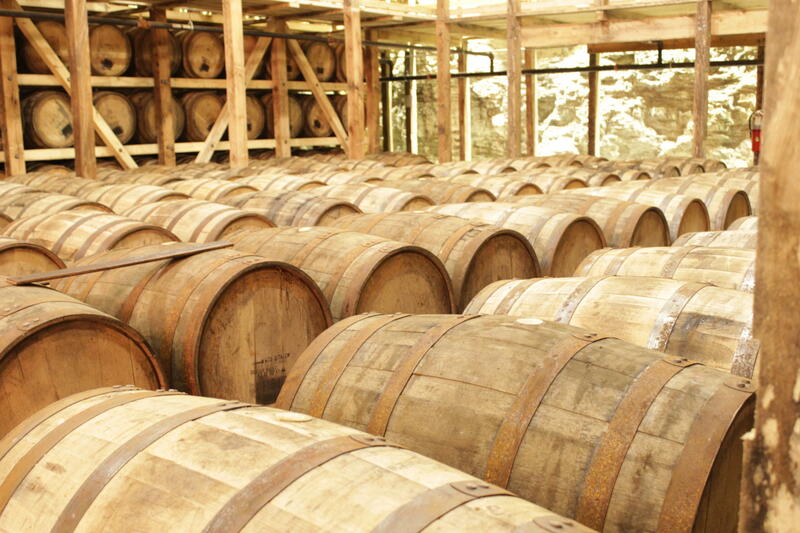 This is a big concern for Kentucky, a state with more whiskey barrels than people. 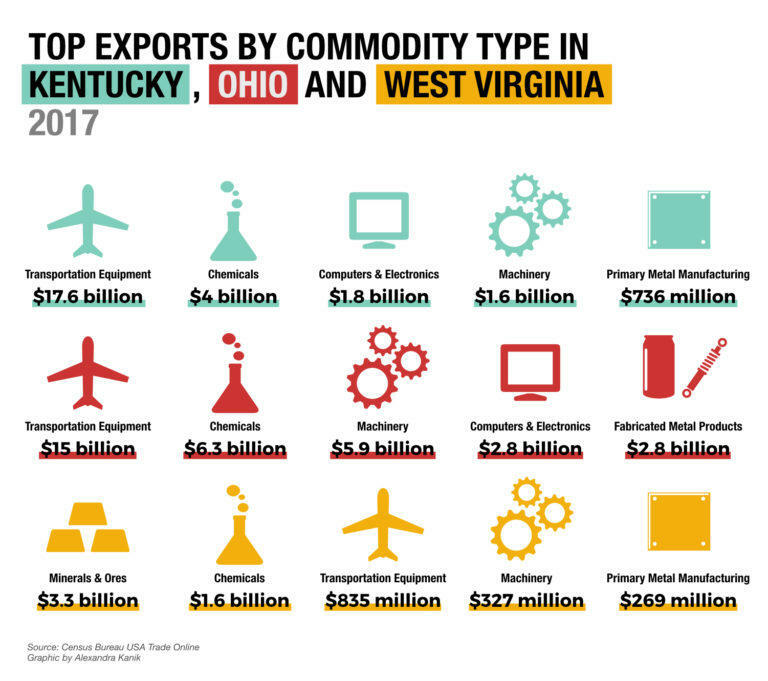 But bourbon’s not the only sector in the Ohio Valley nervous about a coming trade war. Joe Cornely, a spokesperson for the Ohio Farm Bureau Federation, said Ohio farmers are worried about higher prices for metals materials and retaliatory tariffs. “History has shown that agriculture is one of the areas that countries tend to retaliate against quickly because we sell so much agriculture, it’s important to us,” he said. Ohio’s biggest agricultural exports are corn, wheat and soybean, Sheldon said, and if China follows through with a threatened retaliation agriculture is a likely target. Cornely said the effects of the steel and aluminum tariffs could also make it more expensive to farm, because there’s a lot of steel and aluminum in farm equipment. However, Sheldon also pointed out some details of trade agreements that could work to ease the pain farmers might face. China’s retaliatory capability is limited by the World Trade Organization rules. Sheldon said the U.S. already imposes tariffs on China and it’s unlikely that additional ones will make much of a difference in bringing back U.S. jobs. Sheldon said some of the largest suppliers of U.S. steel are Canada, the EU, and Mexico. The president has temporarily exempted Canada and Mexico from the steel and aluminum tariffs while NAFTA talks are going on. “The numbers I’ve seen suggest that for every job potentially recreated in the steel industry we lose five to eight jobs in those industries downstream that use steel as an important input into their production,” he said. The Ohio Valley is famed as a metal-making region, but many manufacturers here also depend on imported steel and aluminum to make their products. The conservative leaning Tax Foundation published a report ranking states that would be hit hardest by additional costs associated with the steel and aluminum tariffs. Foundation analyst Scott Drenkard said Ohio ranked in the top ten of that report. He said Ohio manufacturers could see about a half a billion dollars in tax increases as a result of the tariffs. The foundation started from a national estimate of $9 billion based on import data from last year and broke it down based on states imports of steel and aluminum. Drenkard said the President’s national security argument for tariffs could be a double edged sword. “There is a little bit of concern that other countries might use that same argument and say well we need domestic production of whatever good it may be because that promotes national security in our country,” Drenkard said.